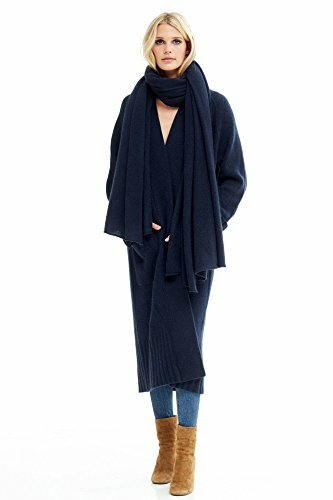 NAKEDCASHMERE Women's Karlie Wrap O/S Dark Navy | What Should I Say? Sumptously soft cashmere wrap makes for an essential closet staple. Stay cozy with it looped as a scarf, used as a travel blanket, or draped effortlessly over the shoulders. If you have any questions about this product by NAKEDCASHMERE, contact us by completing and submitting the form below. If you are looking for a specif part number, please include it with your message.